Now, I could have easily neglected to talk about this one on the blog. I could have left it until I had figured it all out but I decided, of course, to let you in on the postcard response from NY that has not gone to plan. Yet. We all know, life would be pretty dull if everything worked out perfectly. Nothing’s perfect. If it all went as we planned, we wouldn’t learn as many life lessons and we certainly wouldn’t laugh as much. 60 Postcards started in my head and there was very little (apart from purchasing postcards) that I planned out before I went to Paris. It was the same for New York too. 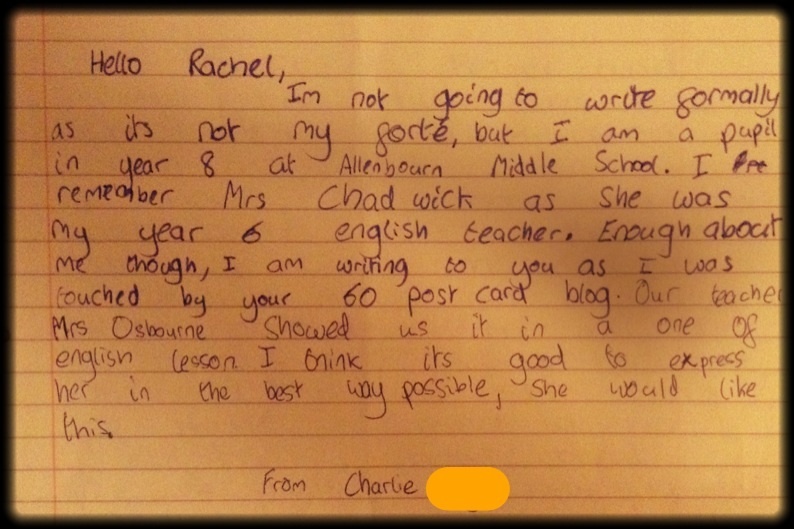 I rushed writing the postcards, I struggled to complete Project Inspire (enlisting the fantastique famille to assist) and I still haven’t been able to do my blog posts on the same days every week. Still, I wouldn’t change one thing about how this has gone so far. Not even this response I am about to tell you about. Strolling into Central Park was like strolling onto a film set. 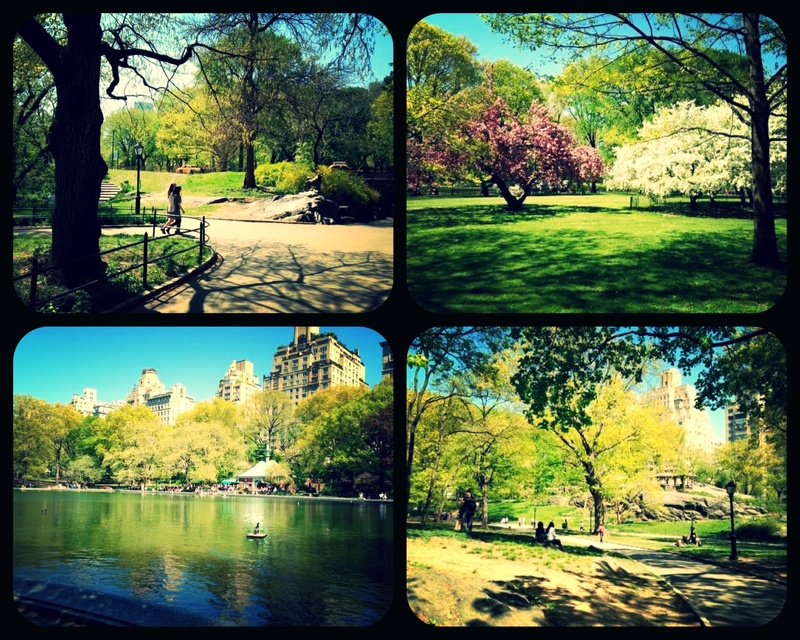 Saying that, I find central park so familiar yet seem to have a complete blank when I try to think of films with it in. I typed it into Google and when I stumbled across a website on the top 10 films involving Central Park, I found number 4 to be “Serendipity”. That word is following me, I am sure. So here we are, in the famous park, soaking up the views in the warm sun and keeping our eyes open for a suitable spot for the postcard. 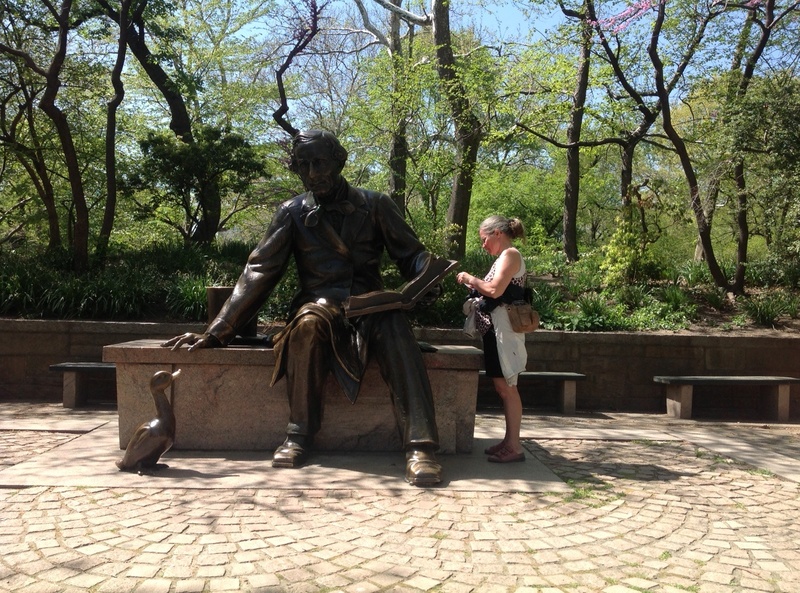 The Hans Christian Andersen statue. A writer – ideal. And he has a giant book. I lay the postcard on said giant book and off we went to the café by the lake for a well deserved drink. Oh how we brought an element of class to the park as we enjoyed our cans of Bud, haha. The response is in Danish. 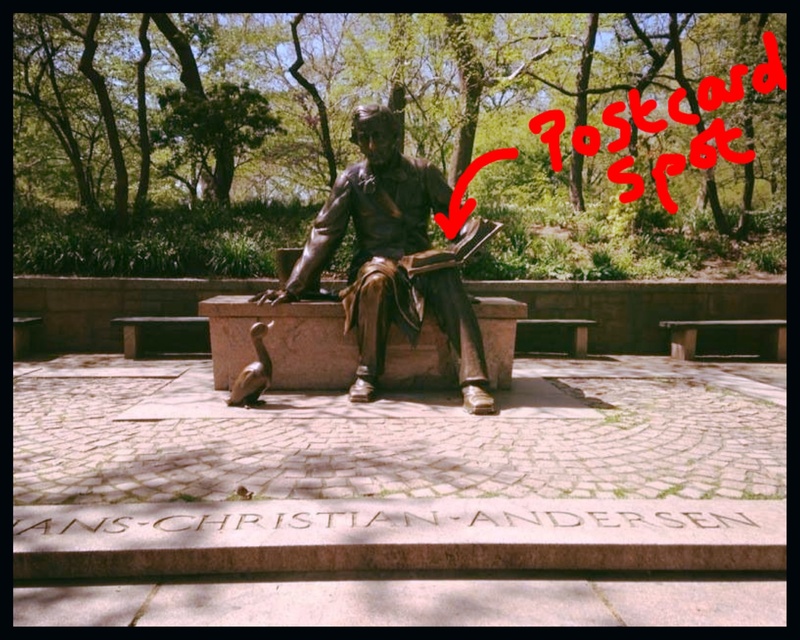 Hans Christian Andersen was Danish. How exciting! My first response in a foreign language. Tick! As soon as I had translated this I was immediately deflated. The website is all in Danish too so I assumed that they were pointing me in the direction of advertising. But if they were advertising then why would they send me this photo? I have tried to respond in English with no luck so far. My next plan is to write them a message in Danish. After that, perhaps I am going to have to head to Aarhus in Denmark and find the woman in the photo. Hmmm, a bit too far. Where to start? Like most people I suppose it is my parents who I have drawn the greatest inspiration from. In fact 4 years ago on this day (June 15) my dad passed away after a short illness. The loss was huge and something I think you never totally get over, more learn to live with. I actually went into the family business when I left school so I basically worked with my dad every day for 25 years until he died. But he lived to the good age of 81. 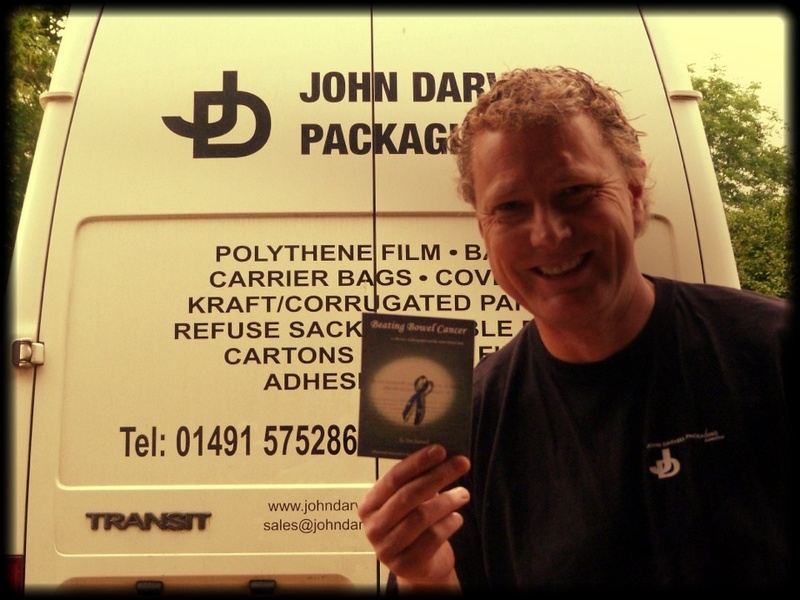 So in the photo you can see the company van of our company named John Darvell Packaging Ltd set up by my late father John Darvell! The location for the photo is outside my work unit, which is located in Medmenham, a small village on the Thames between Henley and Marlow. I actually live in Reading which is about 25 minutes from work. My mother has spent the last year battling bowel cancer. It was discovered in Easter 2012, and that was a huge shock for everyone. She has been absolutely amazing! She had a course of chemotherapy and radiotherapy to shrink the tumour, and then last September a section of the bowel was successfully removed. However a rogue spot was also discovered on one of her lungs, so she has since had surgery on both lungs to remove nodules once again successfully. This week we got the brilliant news that she is in remission and her recent scans showed that there is no cancer. So as for my postcard well I have taken a similar path to yourself. I self published a book on Amazon last November called “Beating Bowel Cancer“ to raise money for the Beating Bowel Cancer charity. The treatment mum has received has been fantastic and I just wanted to give something back if I could. The book has sold 258 copies to date and the fundraising tally currently stands at about £400. The postcard is the front cover of the book, and I have loved your postcard idea so much I have got 100 of these postcards printed and I am hoping by leaving them in various locations over the coming months I can get the book some more publicity and hopefully some interesting stories along the way. 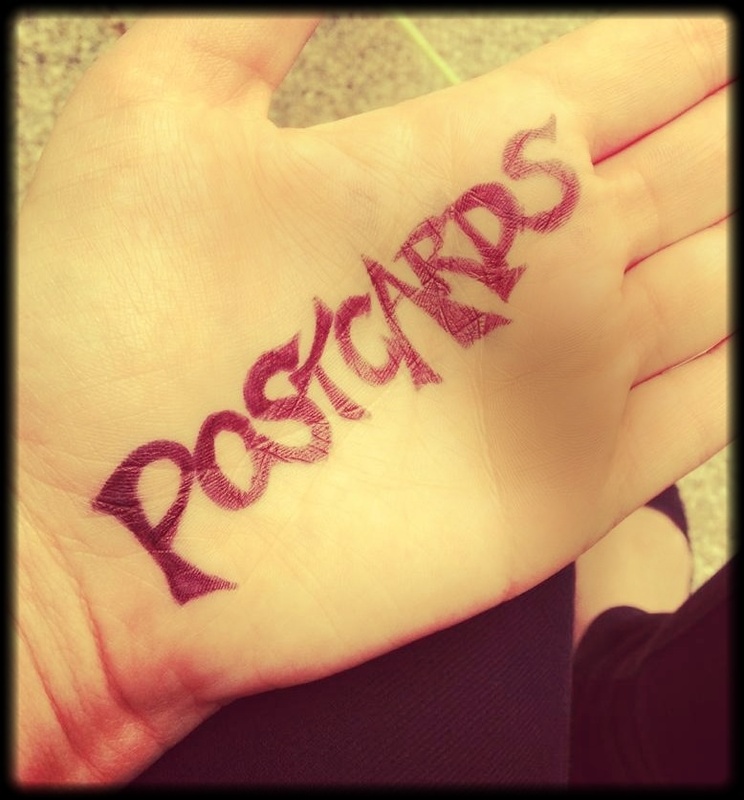 Your 60 postcards blog is by far my favourite blog I have come across and the journey it has taken you on is a very special one, and I think at some point in the future there is a book in there for you to write! I look forward to the next post! I am so glad Tim has joined the postcard revolution. What I am much more glad about, though, is that his Mum is in remission. HUGE congrats and I wish you all the best for the book, Tim! I am excited about my next post. Very excited. I am going to a wedding in Sardinia and plan to write it on the beach. Then all I need is to win the Euro millions and make that a more frequent occurrence. Probably need to buy a ticket first :S.
We have something in common Charlie! Writing formally is not my forte either! I am pleased you think that I am expressing Mum, Mrs Chadwick, in the best way possible :).